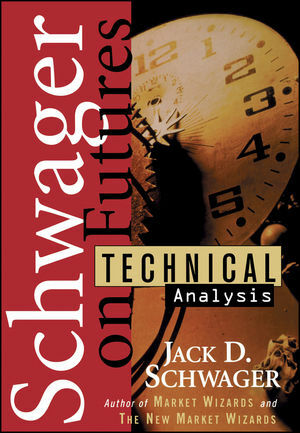 With the keen insight and perspective that have made him a market legend, Jack D. Schwager explores, explains, and examines the application of technical analysis in futures trading. In the most in-depth, comprehensive book available, the bestselling investment writer demonstrates why he is one of today's foremost authorities. Here is the one volume no trader should be without. "Jack Schwager's Technical Analysis is exactly what one should expect from this expert on futures. The book is comprehensive, thoroughly insightful, and highly educational. I recommend it to the beginner as well as the expert." - Leo Melamed Chairman, Sakura Dellsher, Inc.
"Jack Schwager's book, A Complete Guide to the Futures Markets, was one of the best books I have read on futures trading. We give a copy of it to all our new analysts. Jack's latest work, Technical Analysis, looks like a gold mine of information, adding significantly to the existing investment literature." - Monroe Trout President, Trout Trading Management Co.
Jack Schwager is one of the most important and visible figures in the futures industry today. His Market Wizards and The New Market Wizards are two of the bestselling finance titles of all time. Now, in the latest volume in the Schwager on Futures series, Technical Analysis, Schwager has created the most comprehensive guide ever for using technical analysis for futures trading. What makes Technical Analysis unique, besides its in-depth coverage, is that it is written from a trader's perspective. Schwager doesn't merely cover the subject, he explores what works and doesn't work in the real world of trading. Hundreds of charts, tables, and examples illustrate key points throughout, while the text is written in the informative, insightful, and nontechnical style that has made Jack Schwager one of the most highly regarded and bestselling investment authors ever. This invaluable book by one of the world's foremost authorities is destined to become the premier industry guide on technical analysis for many years to come. JACK D. SCHWAGER is the CEO of Wizard Trading, a Commodity Trading Advisor firm that currently manages over $75 million. He is also the Director of Futures Research for Prudential Securities, Inc. and has 22 years' experience heading up futures research departments. Mr. Schwager is the author of the highly regarded A Complete Guide to the Futures Markets, published by Wiley, and the bestselling Market Wizards and The New Market Wizards. His writing has appeared in many publications, including The New York Times and Forbes. Much in demand as a speaker, he has lectured on a range of analytical topics, with a particular focus on great traders, technical analysis, and trading system development and evaluation. Charts: Forecasting Tool or Folklore? Is Chart Analysis Still Valid? Setting Objectives and Other Position Exit Criteria. Linking Contracts for Long-Term Chart Analysis: Nearest Versus Continuous Futures. Cycle Analysis of the Futures Markets (R. Mogey & J. Schwager). TRADING SYSTEMS AND PERFORMANCE MEASUREMENT. Examples of Original Trading Systems. Testing and Optimizing Trading Systems. Eighty-Two Trading Rules and Market Observations.